If you own a house, you’re doing quite well in the money department already. Even if you’re slowly paying off a mortgage, you’re in a stable position with good debt on your side and the chance to go higher and higher if you wanted to. However, sometimes we aren’t making as much money as we need to keep ourselves living a comfortable life. If you’re finding yourself in this kind of situation, and you don’t have many assets to your name other than the property you live in, this is the list for you. And it doesn’t even have to be the entire house! This is a good idea for anyone who tends to travel a lot, either for work or personal reasons, and can make you a steady income month by month. It’s also a great idea for anyone with a spare room who doesn’t mind sharing with a stranger from time to time. But where can you find yourself a lodger? It’s not like anyone in your neighborhood is in desperate need of another house! Instead, turn to letting agents to better find someone who is in desperate need of your room, based on your location and client availability. Almost everyone has a car, and because of that parking tolls can be extremely expensive. This is where you can come in! Rent out your drive to make some quick money day by day, and still at a cheaper rate that’ll make your desirable. If you do have a driveway, and you live in an area near to local amenities or an airport, your drive really could be a prime bit of real estate. There’s a lot of websites out there in which you can find people looking for a cheaper car parking spot per day, and you can make an extra thousand or two per year because of it! And by this we mean turn your home into a film or TV set for a few days, and earn hundreds by simply staying out during an allotted time. In the media business people are always looking to save money when it comes to needing areas to film in. So if a company doesn’t have to build their own interiors because they have other options, it’s a great place for you to step in. If you live somewhere interesting, or particularly open with fun decorations, or in a place that has high traffic due to its city status, make sure you sign up to a site to advertise your home. 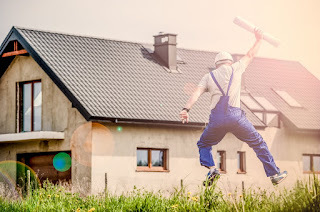 There’s quite a few ways to make money off of your property, and they might be in ways you didn’t even think was possible before. Make sure you look into these options if you’re at your wits’ end with clutter and online work; you have some real estate in front of you that can be put to very good use when you need to.